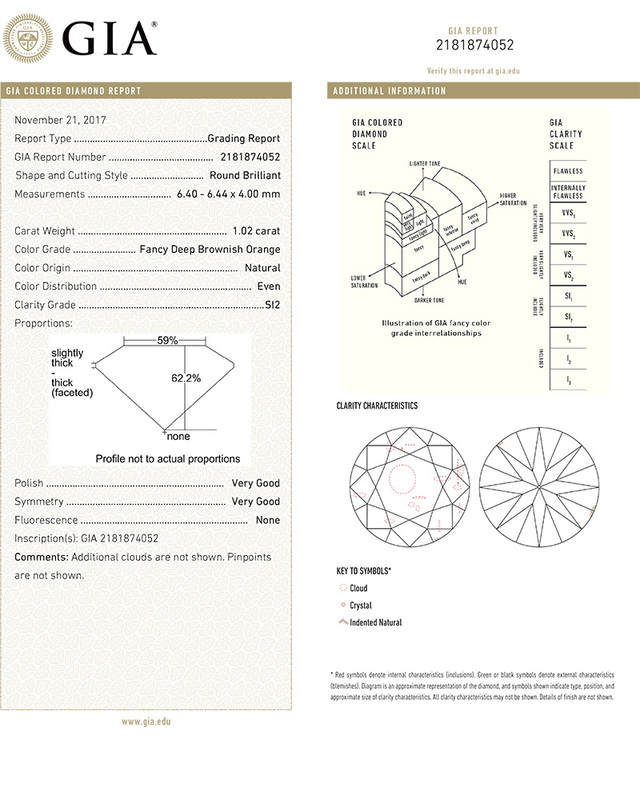 B8423 Triangle 1.09 ct. Fancy Deep Orange Yellow SI2 $5,450 View Comp. 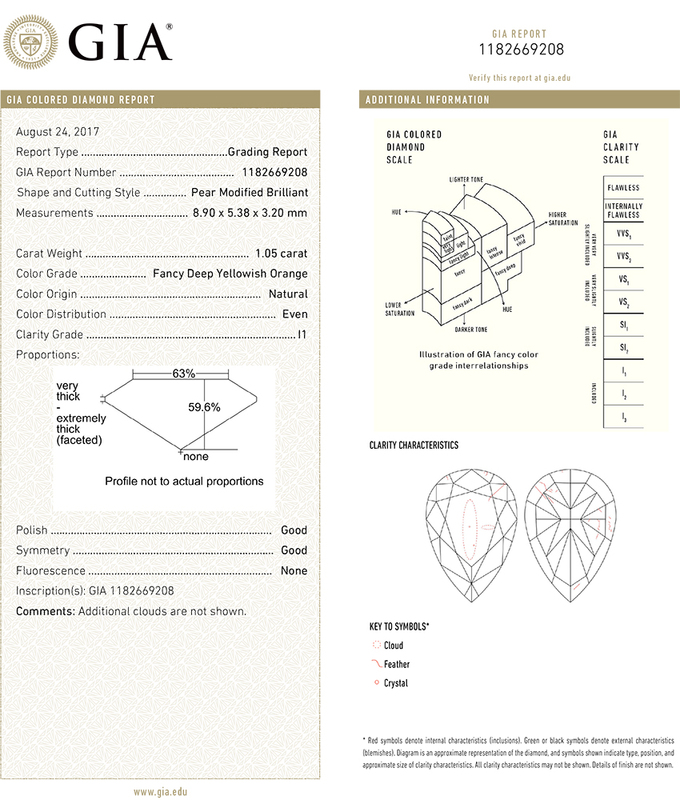 BA09629 Heart 1.06 ct. Fancy Yellowish Orange $26,500 View Comp. 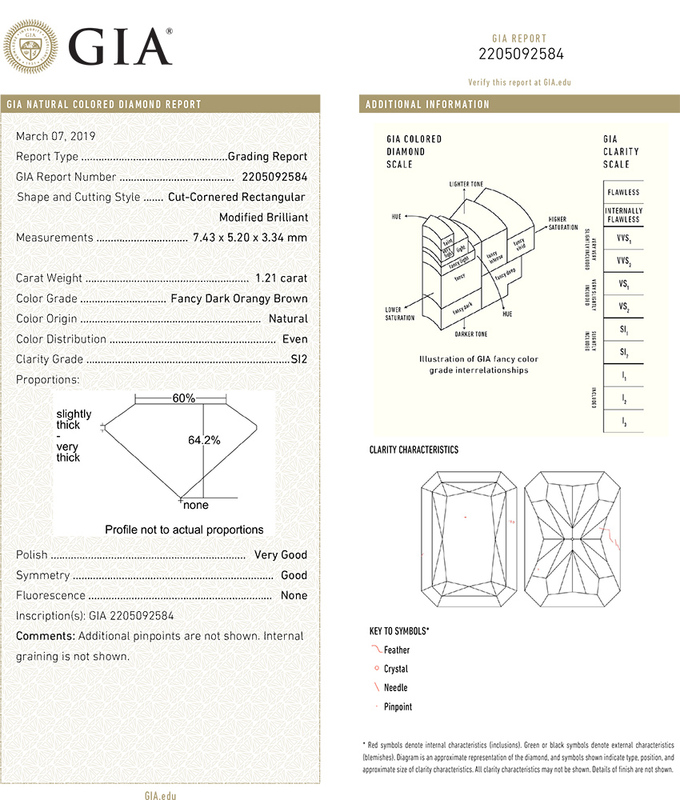 BA09563 Pear 1.05 ct. 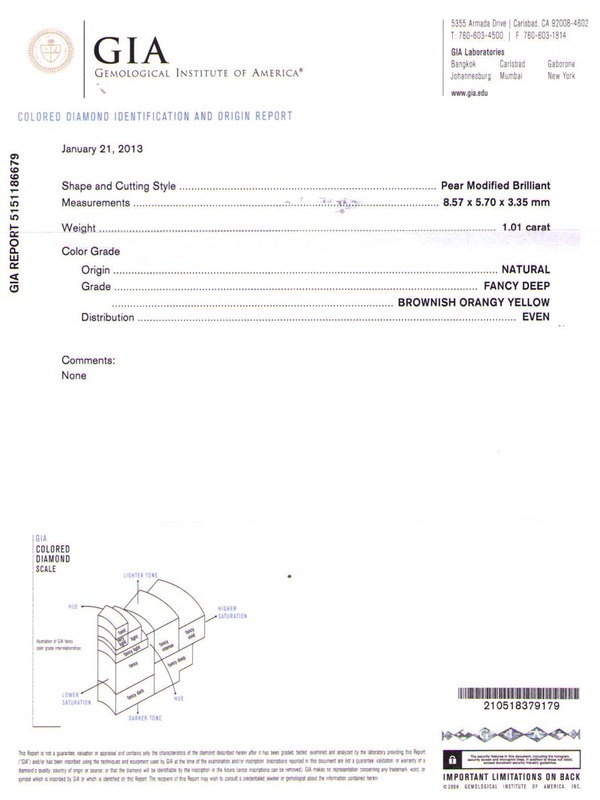 Fancy Deep Yellowish Orange I1 $6,825 View Comp. 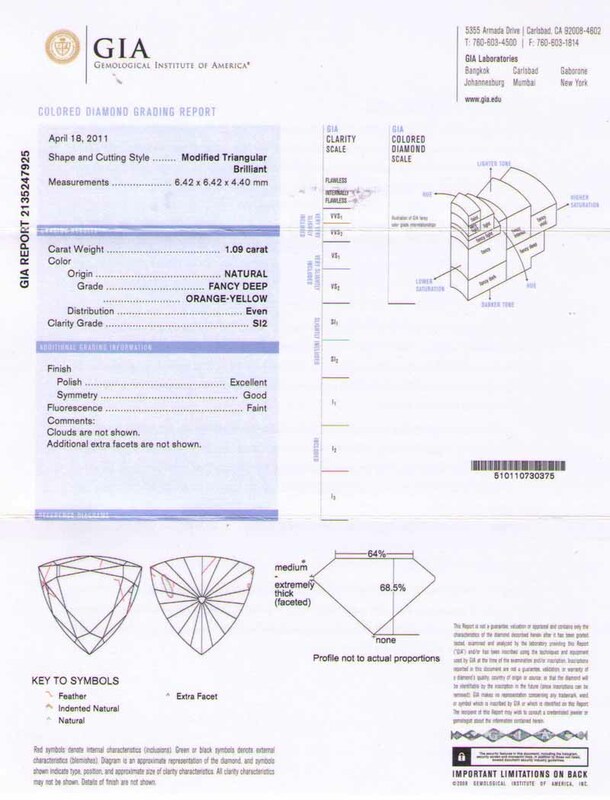 BA09607 Heart 1.03 ct. Fancy Deep Yellowish Orange SI2 $10,300 View Comp. B9317 Emerald 1.02 ct. 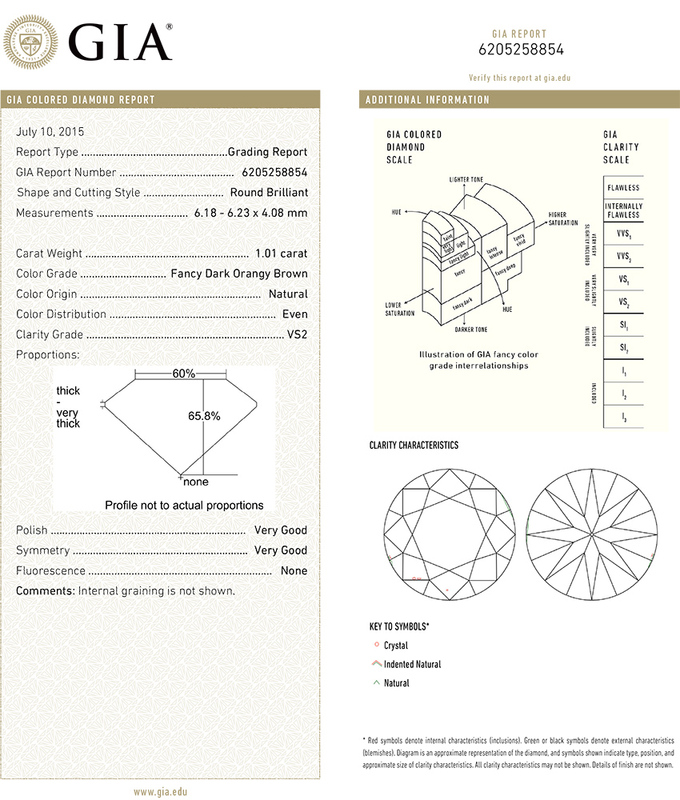 Fancy Deep Brownish Orangy Yellow SI2 $3,060 View Comp. BA09576 Round 1.02 ct. Fancy Deep Brownish Orange SI2 $10,200 View Comp. BA09697 Round 1.02 ct. Fancy Deep Brownish Orangy Yellow SI2 $4,590 View Comp. 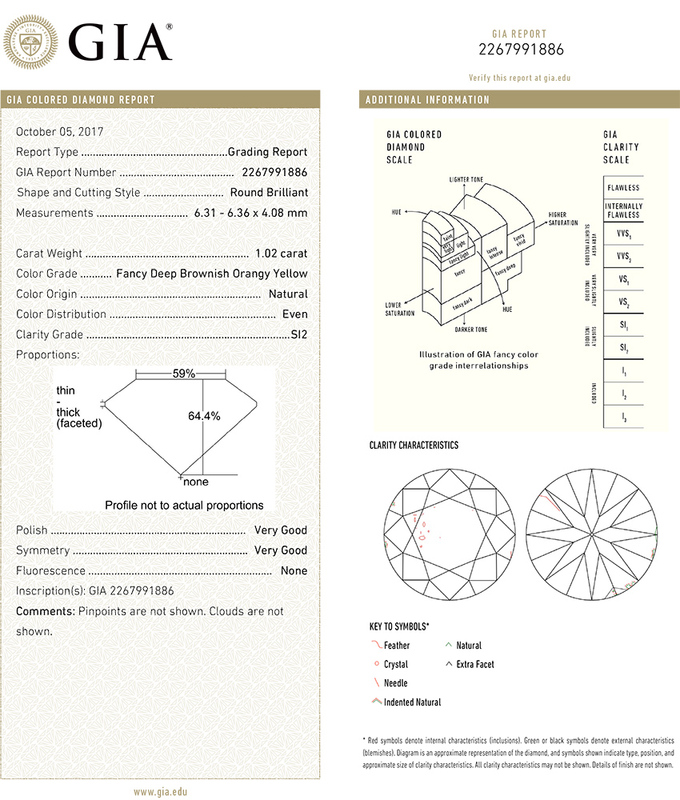 B8540 Pear 1.01 ct. 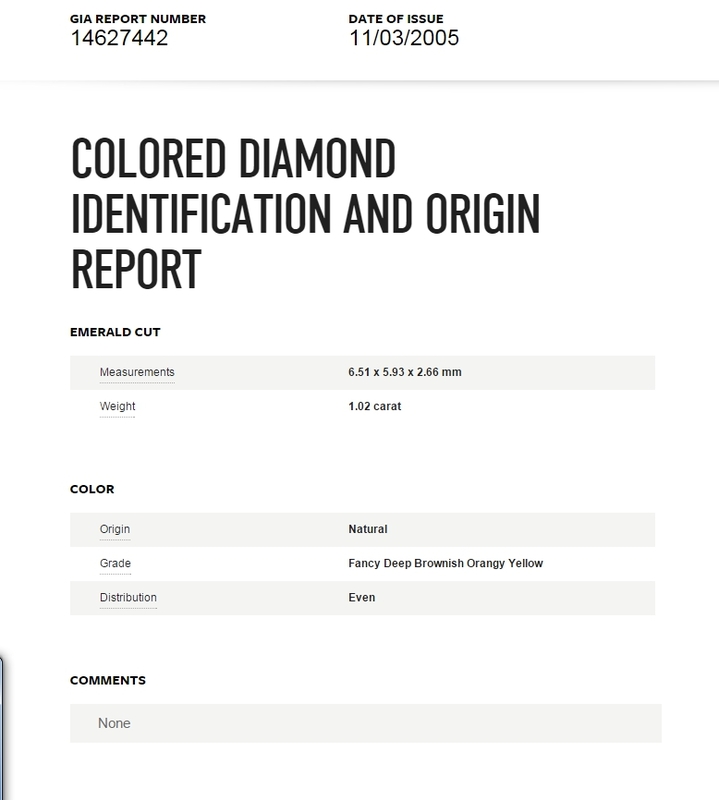 Fancy Deep Brownish Orangy Yellow I1 $7,070 View Comp. 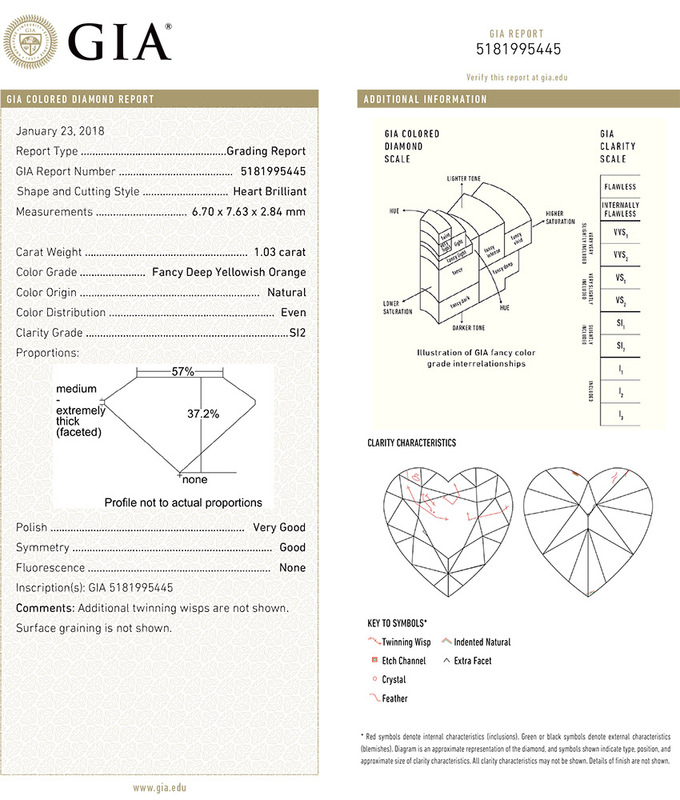 B09346 Heart 1.01 ct. 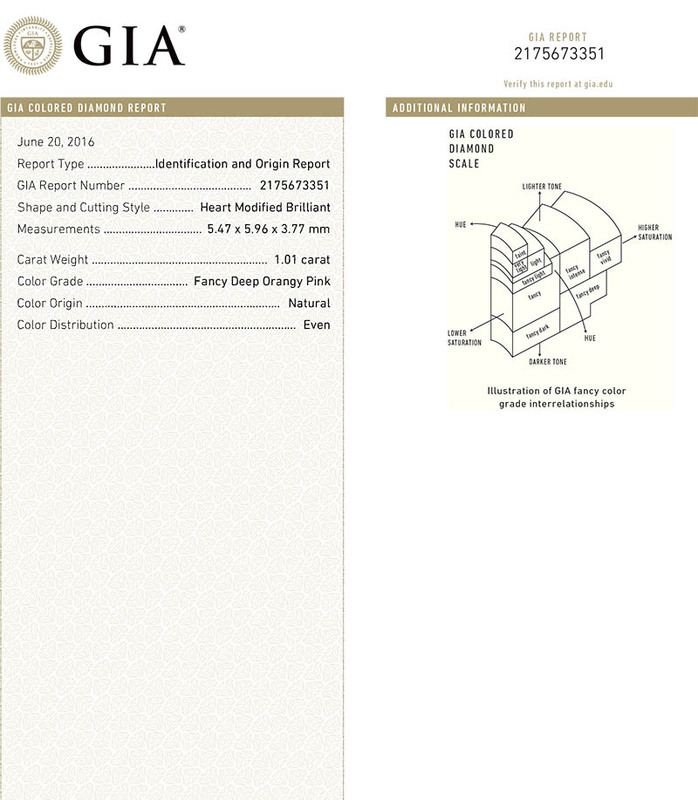 Fancy Deep Orangy Pink SI2 $40,400 View Comp. 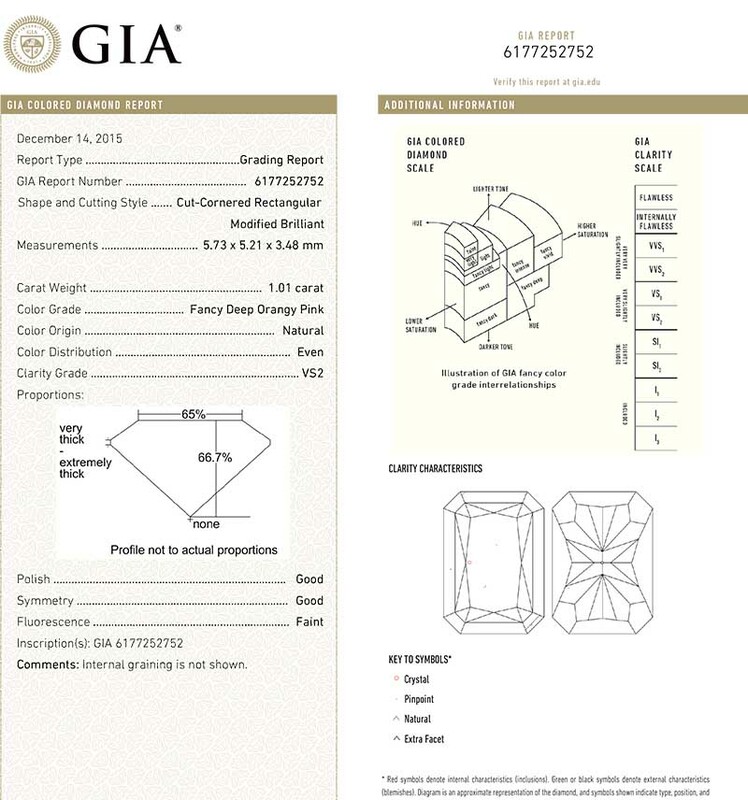 B9308 Radiant 1.01 ct. Fancy Deep Orangy Pink VS2 $101,000 View Comp. BA09698 Round 1.01 ct. Fancy Dark Orangy Brown VS2 $3,636 View Comp.